Our second day at Navadarshanam Farm began with a bang! Or more like a nice peaceful meditation session to begin a day of new adventures. After breakfast, it became apparent that our job for the morning was to make the farm’s essential fertilizer. 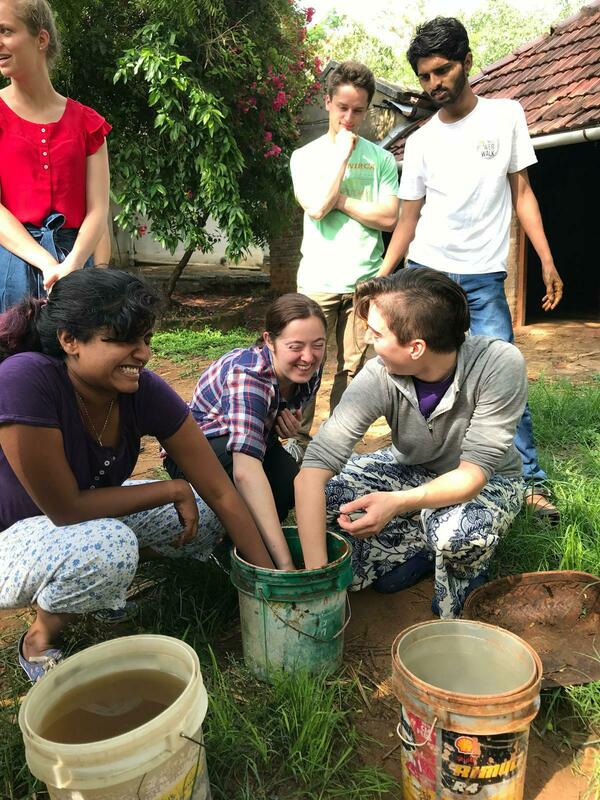 This included mixing cow dung, water, cow urine, jaggery, and gram flour by hand. The cow dung provides essential microbes to the soil biomass and important nutrients that may be lacking in the soil. To increase the effectiveness of the dung, the microbes are spurred to multiply by the jaggery sugar and protein in gram flour before being added to the soil which causes the mixture to bubble. This session provided an insight into the differences between organic fertilizers (used at Navadarshanam) and inorganic fertilizers. I think it is important that we recognize reasons a farmer would use different management practices so that we can develop understanding for the choices of farmers. While using the cow dung mix provides huge benefit to the soil, a farmer may have an issue with its ability to carry weed seeds into the field and with the difficulty in knowing the amount of nutrients in the mixture. On the other hand, a farmer may opt out of using conventional fertilizers because they are missing essential micronutrients and are too easily lost to runoff into surrounding waterways. By understanding these choices, we can implement solutions which encourage practices towards our goals. 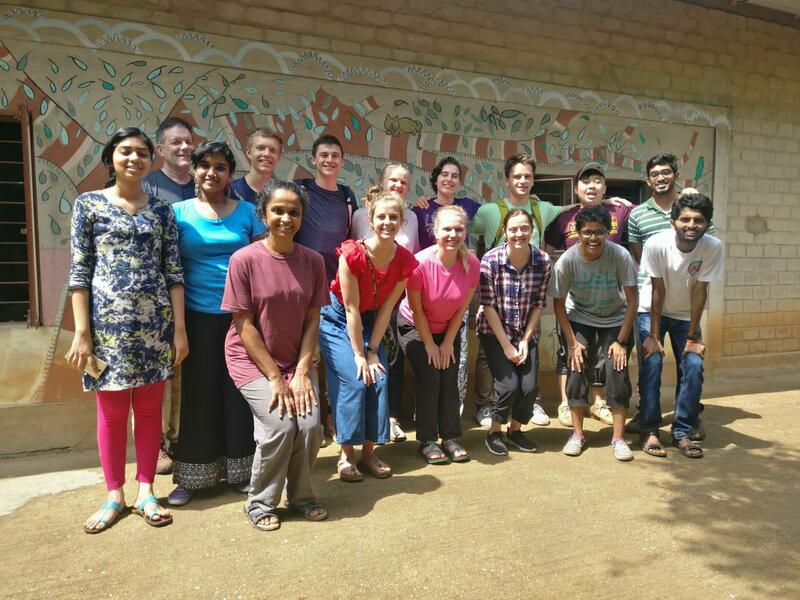 It was amazing for our group to see the incredible work that is being done at Navadarshanam, and I am hopeful that they will continue helping farmers in the surrounding areas develop the kinds of farming systems they have built.